Voici la version anglaise de l’ouvrage paru en octobre 2003, un document exclusif sur les années 1960-1962. While the Beatles’ extraordinary career from 1963 onwards has been amply documented, little attention has been paid to their more obscure early years. A crucial time for the five unknown musicians who already called themselves «The Beatles», the 1960-1962 period has spawned a number of legends that still cause controversy almost 40 years after the group broke up. Did the mysterious Raymond Jones – who supposedly brought the group to the attention of future manager Brian Epstein – really exist? Did the enigmatic fifth Beatle, Stuart Sutcliffe, die as a result of an angry kick from John Lennon? Was ill-fated drummer Pete Best sacked because he was too popular with the girls, or simply because he wasn’t good enough? Why do the surviving Beatles still block the release of their live Star-Club recordings? Based on rigorous research and extensive use of rare documents, this book sets out to answer the nagging questions concerning the first chapter in the Fab Four’s career. Eric Krasker was given exclusive access to all currently available Polydor archives, enabling him to supply precise details of every recording the Beatles made with singer Tony Sheridan in Hamburg – and clear up the mystery surrounding the song Swanee River once and for all. «The Beatles – Fact and Fiction 1960-1962» offers a unique insight into one of the most successful musical phenomena of all time. An internationally recognized Beatles specialist, historian Eric Krasker regularly publishes articles in Record Collector, Beatles Unlimited, Belmo’s Beatleg, The 910 Newsletter, Discoveries and Beatlefan. 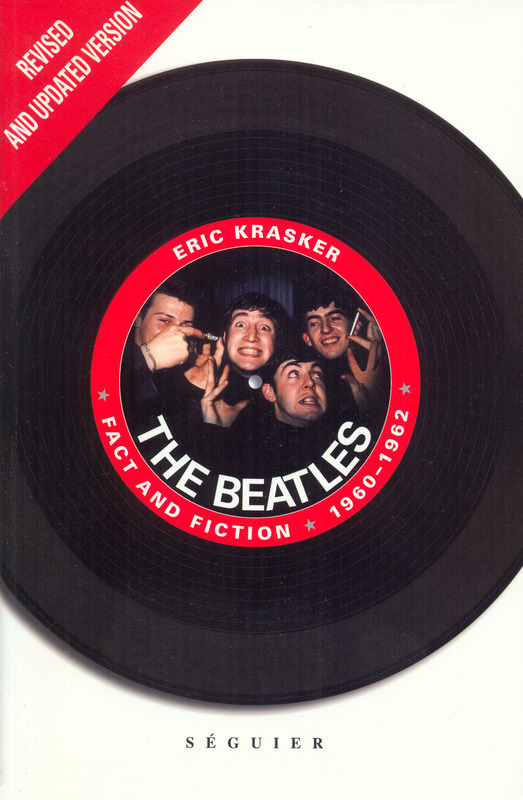 Éric Krasker est consultant spécialisé sur les Beatles pour la presse et les médias depuis 1989. Il intervient régulièrement sur les chaînes nationales et câblées, notamment pour des émissions thématiques comme « Les cahiers du cinéma » sur Canal +. Chroniqueur spécialisé dans « La Saga des Beatles » diffusée quotidiennement durant l'été 1994 sur France Inter, il est aussi sollicité par France Info, France Bleu, RTL, RTL2, RMC, Europe 1, Nostalgie, Fun radio, BFM, Oui FM, etc. Il écrit régulièrement pour la presse spécialisée, « Guitarist Magazine », « Rock Mixer », « Best », « Record Collector », « Beatles Unlimited », « Discoveries », « The 910 Newsletter », « Belmo's Beatleg » et « Beatlefan ». Il est l'auteur du livret « Les Beatles et la France » inclus dans le triple DVD « The Beatles: Along and Winding Road », paru chez TF1 Vidéo le 6 novembre 2003.